Musically in Nigeria, year 2017 has been wonderful and very amazing so far with a new sound and exciting Gospel songs that have caught our attention from Nigerian gospel artistes. Our Gospel Artistes are making an impact in the neighbourhood and internationally. We offer to you our accumulated list of the Top 20 Nigerian Gospel Songs that have been released so far in 2017. 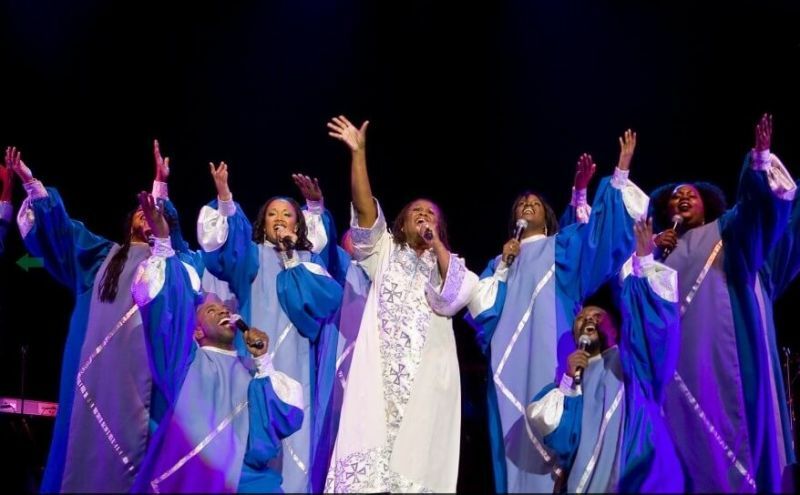 These Gospel songs which were chosen based on impressions they made, the number of downloads, air-plays on radio stations, the quality of production, reception from listeners or audiences & other essential factors, will be updated regularly to add up the list – so make sure to check back later on our latest updates. Some suggestions will be accepted if you can let us know concerning our list and also, what other Gospel songs you feel should have made up this list. These are our top 20 Nigerian Gospel Songs 2017. Ama’s love for God shows through this music as she carries with it a genuine message about the happiness of God’s presence. ‘With You’, which simply can be denoted as a burst of sparkle with a new verve, is an up-tempo inspired song that’s certain to get your praise on. “Bigger Than Yesterday” is another heart touching and inspirational song by Believers Love World Nation’s very own music minister, Israel Strong who is LIMA 2016 Songwriter of the Year. ‘Yes sir’ is Produced by fast upcoming music producer Tyanx. The song is a high-tempo harmonious praise jam that is certain to make you dance like David danced. The track features a satisfactory blend of Contemporary African rhythm with homegrown elements. The Presence (Mo Wo’le) is a beautiful piece delivered by Ikay Rocks, a Christian contemporary artiste off his debut album that’s coming. IKAY Rocks real name is Ikpemhosi Amakhabi. He is a singer-songwriter and Christian contemporary artiste whose song projects courage, the goodness and God’s glory to the nations of the world through awesome and inspirational music and lyrics. South-Eastern infused in it to bring a good vibe. ‘Because of You’ by Endy Musik is his first official single. It is a mid-tempo song that is produced by (DroBeatz). It is a different kind of sound you will definitely enjoy when you hear it. Phrance is a Nigerian Christian Rock artiste that serves up a different genre of music “This Love”- a song about the unchangeable and unwavering love of God. Johnny Drille is the producer of the song. This is a groovy praise jam that you can Download, plug your earphones, increase the volume and Party in the Holy Ghost with this groovy praise jam. ‘Mourning to Dancing’ is written by Odunayo. The song ‘Excess Love’ basically describes the abundant, everlasting and magnanimous love of Jesus Christ. In few words, but with commanding melody. Mercy Chinwo describes the love of Jesus Christ has been given to all persons freely but for those who are prepared to receive it. A stunning and melodic worship song – Take Over is being written by Henrisoul. Who is a multi-award-winning recording artiste. The song is produced by Mr. Shabz and bound to uplift various hearts for a long time. The track ‘wetin you no fit do’ was self-produced by Frank Edwards. The song is to testify of God’s boundless Supremacy and Affection for his beloved children. Nosa who is under the music record label ‘Chocolate City’. Where MI happens to be the C.E.O. 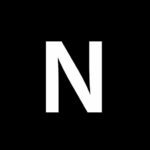 Nosa features Nathaniel Bassey in his worship single titled ‘MOST HIGH’ – an extraordinary piece which obviously portrays appreciation of God Almighty in the Christian faith. This song “If all I say is Jesus” is being gotten from Dunsin’s latest album ‘Code Red’ – The Worship Involvement, ‘If All I Say Is Jesus’ is one that fans can take out from the project and the song is taking the social media by storm currently. This song was written by Tim Godfrey a multi-talented artiste. The song is produced by fast-growing music producer SMJ. The lovely worship piece which features Xtereme the diverse group. “So Good” is a pronouncement that the whole thing God does is premeditated. Following the positive release of AgentSynypa first song ‘High Grade’ in 2015, The fabulous gifted Reggae Dancehall queen, AgentSnypa gives us another harmonious, jamming, rocky song titled “unconditional”. This song can take you into another realm of worship. Get inspiration from this new anthem ‘On Fire’ that’s trending. Victoria Orenze a vibrant worship leader is the owner of the song. Ekwueme which means (the God who declares it and act on it). The song is Seasoned with Eastern worship song Prospa Ochimana a Music Minister who is based in Abuja. The song is a pure slow-tempo tune presented in English and Igbo language (local) and also features a worshiper of great depth and impact “Mrs. Nwachukwu’. The song was produced by the extraordinary award-winning producer Rotimi Keys. ‘Church on Fire’ comes as a clarion call for Revival, Rejuvenation, and Resurgence in the church. It features prominent worship leader, Nathaniel Bassey, who started the song with the explosion of peculiar sounds from the trumpet. “Miracle Worker” by singer Glowreeyah Braimah present yet another beautiful “Jesus is here” the song helps to console Christians to remember that God Almighty is always by their side. An earnest declaration of the assurance in God’s word and also the effectiveness of the existence of the Messiah. The song is spiked with admiration that is augmented with the use of vernacular or dialect. This song was produced by the multiple award-winning Producer Rotimi keys, Olowogbogboro. 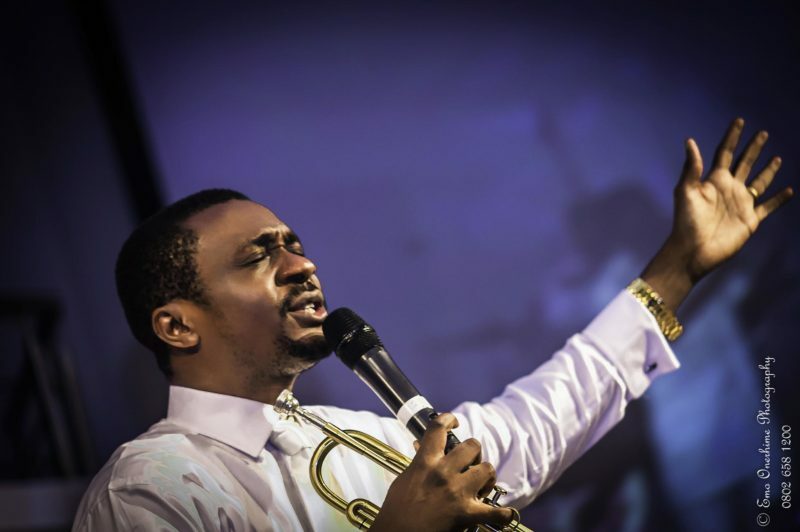 Nathaniel Bassey features well-known gospel singer by name Wale Adenuga who is also the co-writer of the song. i have a dream that one day, gospel ministers will be the richest musicians in the world. We cannot serve a “RICH GOD” and still remain beggers. God bless everyone who save Jesus Christ as personal saviour in He/she his life I pray .Dj#mega#flava…..Amen my brother our God we save is a rich God and dependable and faithful God.